This Skwezed Peach nic salt tastes like a bushel of fresh peaches were condensed down to a 30ml nic salt. 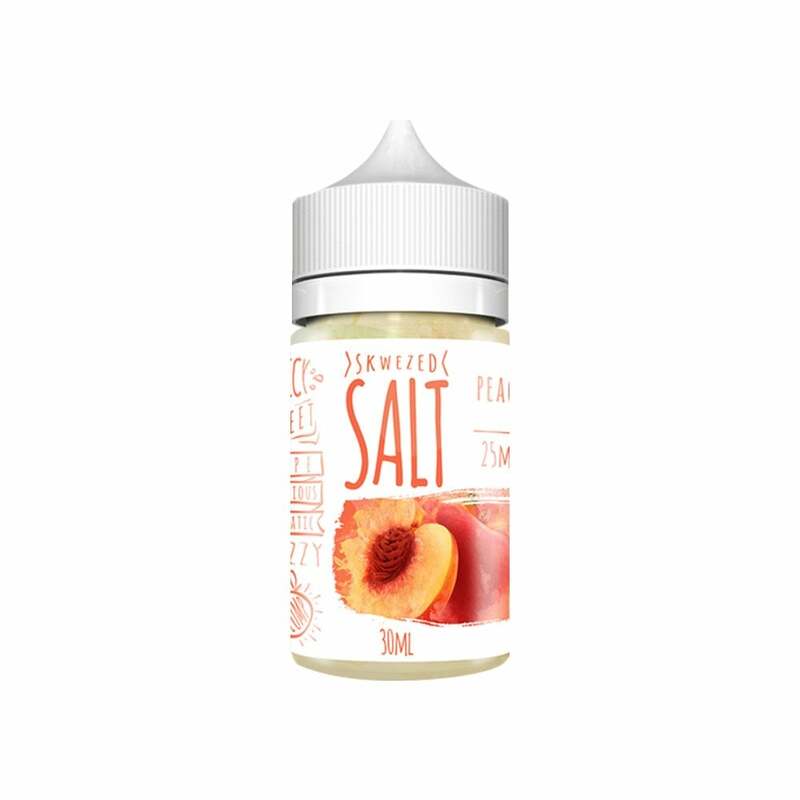 This peach-tastic nic salt is full of true peach flavor, and the smooth nicotine salt formula adds an extra level of satisfaction every time. Skwezed Peach nic salts are available in 50mg (5.0% nicotine), and 25mg (2.5% nicotine) and are compatible with your favorite pod mod.